Hi, I’m Liam. 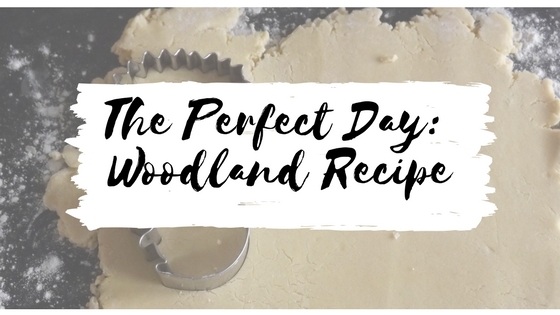 Olivia has very kindly invited me to write a guest post for her blog about one of my favourite things to do when I’m not reading, and that is baking. 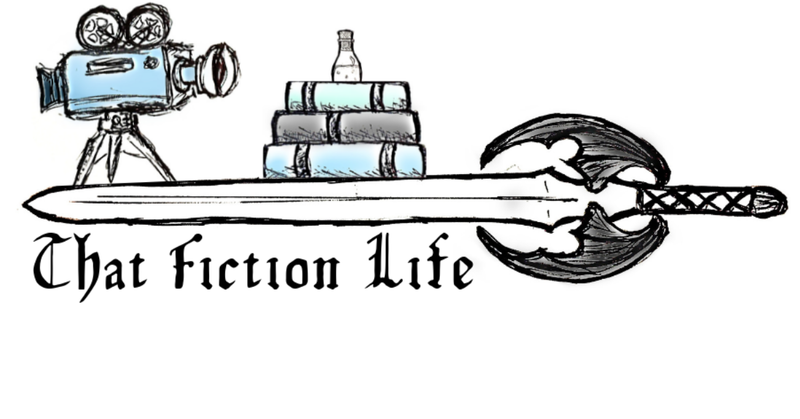 You can find me on my new blog, at book-worm-hole.blogspot.co.uk where I talk about books and baking and probably other stuff too. I’m also on twitter, @notsotweets. Picture the scene. You’ve got a whole day, with absolutely nothing to do, and no one to disturb you. Outside, it’s wet and windy. It’s getting colder too. But in here it’s warm and snug. You’ve got your favourite chair, or sofa, with some soft cushions, a throw to keep you warm, or maybe you’re still tucked up in bed in some crisp new pyjamas. Oh, and you’ve got a book. It’s that one you’ve been saving for a day like today. The one your friends have all been shouting about on Twitter. The one you’ve been anticipating, watching it moving slowly up your to-be-read pile. You’ve got those fancy new tea bags in the kitchen, or maybe you’ve got some nice fresh roasted coffee or a steaming cup of hot chocolate. What could be more perfect? Oh, yeah. Something to nibble on would be nice, wouldn’t it? Everyone knows that you need biscuits to go with a cup of tea and a book. But there’s none left in the cupboard. Look at that weather out there, it’s definitely getting worse. Do you really want to pull your clothes on, find your warmest coat and venture out in the gathering storm to the nearest shop? But do you really want to go without biscuits? Is there a solution? So what is the solution to the dilemma above? How to keep that perfect day on track? It’s simple; make your own biscuits. They are quick, easy and delicious. There are loads of fancy biscuit recipes out there, and I’m sure many of them make really great biscuits. I’d encourage anyone to experiment, to try out different ingredients and you can probably come up with something amazing. That’s all well and good. There’s a recipe I want to try for Lavender Highlanders that looks lovely, and I happen to have just bought some dried lavender because I thought it would look nice in my spice rack, next to a new jar of dried rose petals. But what if you just want something quick and easy, using basic cupboard ingredients? 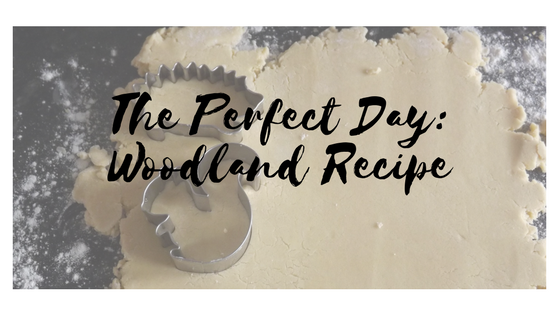 This recipe has just three ingredients for the biscuits, another one or two for the icing, plus decorations. You can have biscuits in half an hour. Now I’d be struggling to get dressed and get to the shop and back in that time! The methodology is really complex though. What you need to do is put the butter and flour in a big bowl, mix them with your fingertips, and stir in the sugar. Now you just get your hands in there and squidge it all together. (I think that’s the technical term). It doesn’t look likely, but it should all start coming together into a doughy ball. Once it does, transfer it to a floured surface and roll it out. Don’t roll it too thin or it’ll be hard to bake without burning it. I’d go for something around the thickness of a Digestive biscuit, or whatever the millimetre equivalent is of that. This is the part where some forward planning really does come in handy. 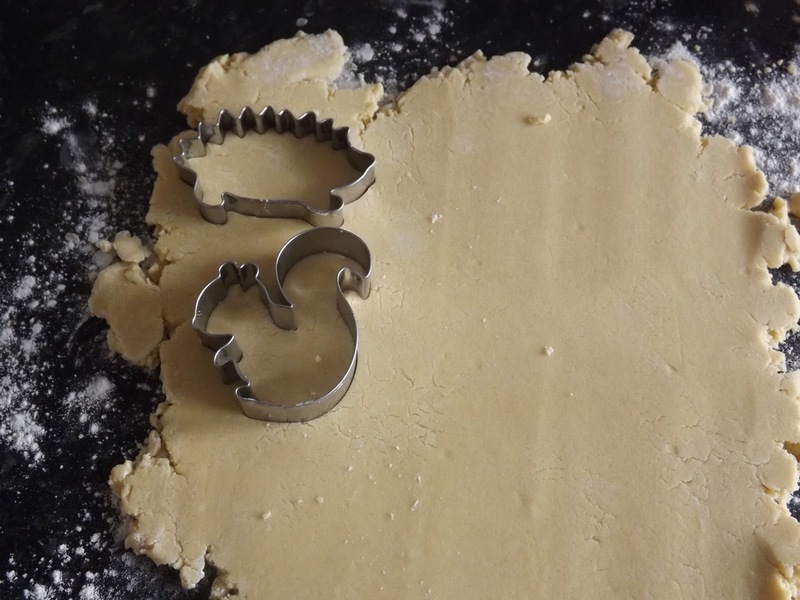 A nice selection of biscuit cutters can turn the plainest biscuit mix into something fun and playful. I’ve recently found an excellent selection in Lakeland, but most of the big supermarkets carry a decent selection too. 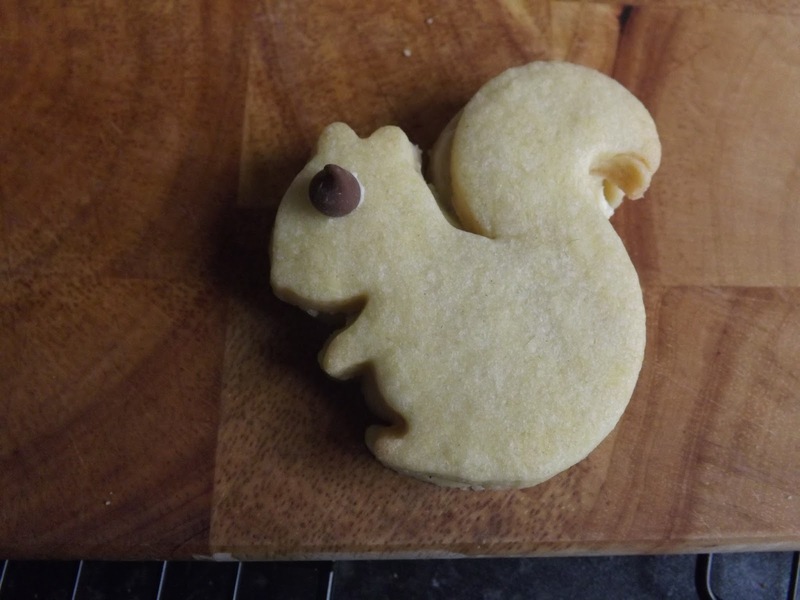 Today I’m going for squirrels and hedgehogs. 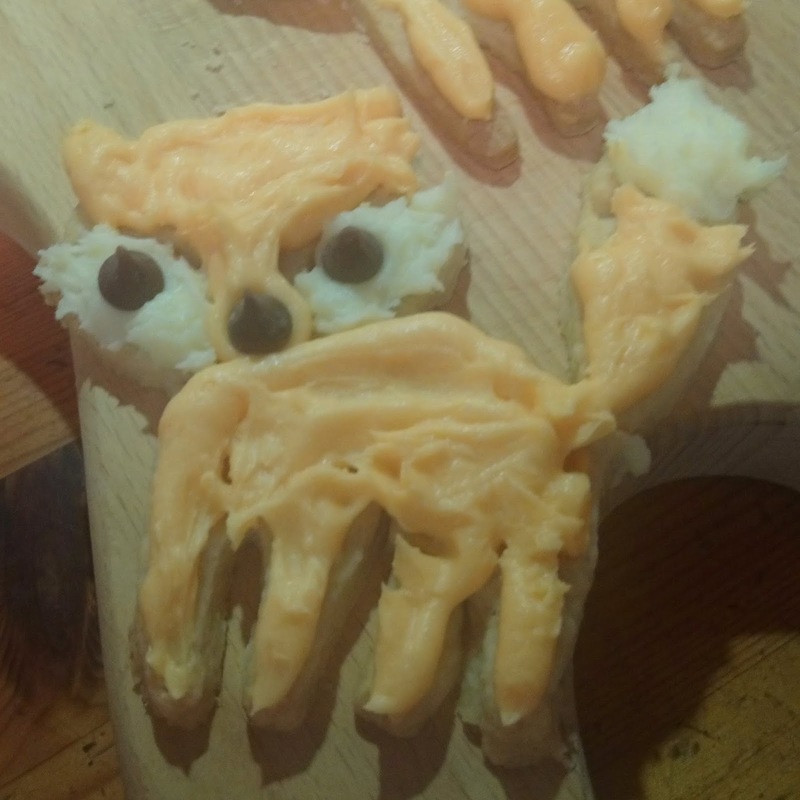 Cut some biscuits out and transfer them to a greased baking tray. Make sure you have an even number of each animal! Then they need to go in at about 180 degrees for 8-10 minutes. They’ll be soft when they come out, and then harden as they cool, so don’t poke them to see if they are done. You are looking for them having puffed up and turned a consistent golden colour. Don’t worry if they brown a little bit, they’ll still taste good. I love to sandwich them together with some butter cream. Again just stick it all in a big bowl and get mixing. It’ll feel for ages like you’ve got a huge cloud of sugar and just a tiny bit of butter and nothing is happening. Then suddenly it’ll all come together into a lovely load of icing. 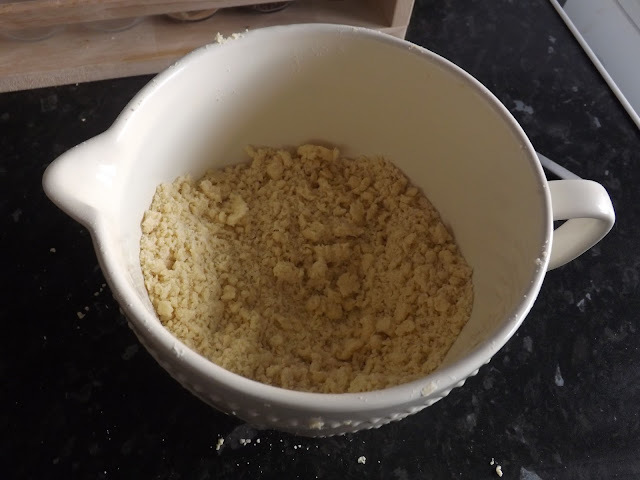 Add a tiny bit of water, no more than a couple of teaspoons, to get the consistency you want, and then cover half of the biscuits in it and stick the other half on top. If you want chocolate icing, stick a spoonful of cocoa powder in. Or go with any combination of flavours and colourings. This is the bit where you can really bring your creations to life. I’ve gone with plain buttercream filling for the squirrels, and chocolate buttercream for the hedgehogs, using some more of it for their backs. You should be able to make about a dozen biscuits, depending on the size of your cutters. 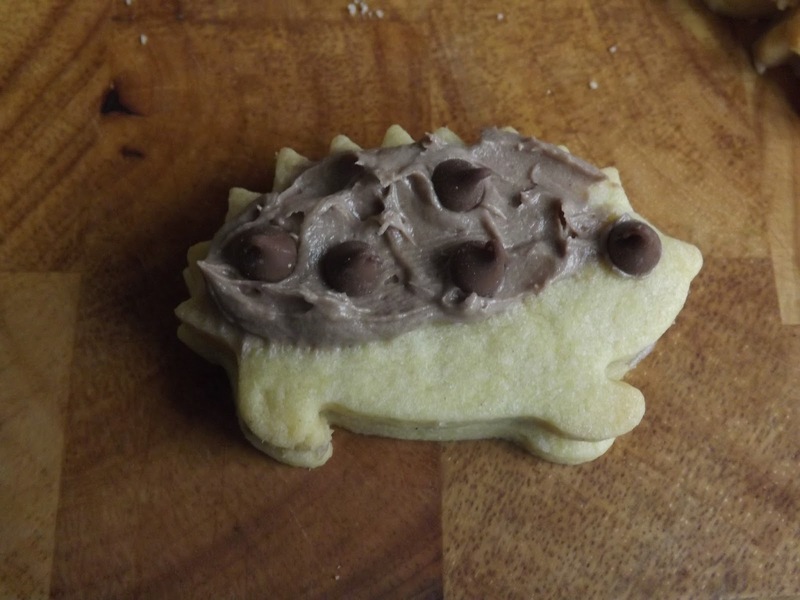 I also like doing these biscuits as round ones, with a smaller circle taken out of half of them. Stick a dollop of jam on top of the butter cream and you’ve got jammy dodgers. Alternatively, get a few different colours and go for some fancier decorations. Here’s a fox I made with my daughter. Once they’re ready you can take them back to your favourite reading nest and really get stuck into that book. Enjoy. Finally, if you want a book theme to tie these into, go and read The Animals of Farthing Wood series, by Colin Dann. I loved these books as a child, and they are probably partly responsible for my current love of the natural world. A load of animals find their home threatened by a building development, and go looking for a new home. It’s harsh and brutal at times. One of the main characters, Adder, makes no attempt at hiding how much he’d like to eat some of the smaller animals. It’s also very emotional at some points. One of the sequels, The Fox Cub Bold, is the first book I can remember that really had me in tears. It was definitely one of my favourite book series when I was young.